In an interview with movie phone Peter Jackson helped to clear up some of the F.U.D. surrounding the status of the Hobbit movies. Next budgeting and Get Green Light – problem: no green light for movie yet and a big hang-up because one of the studios holding rights is MGM who’s fate is still unknown. I'd be pretty optimistic that we'll be shooting before the end of the year. I would imagine October, November, we'd be shooting by. I'm not announcing it, though. 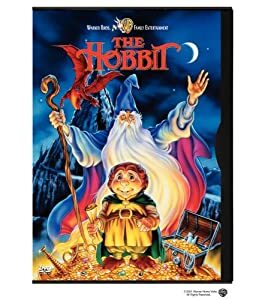 In the interim while we wait for a live action Hobbit movie there is always the 1977 animated The Hobbit with one of my most favorite song in it to annoy Bilbo Baggins and The Lord of the Rings: The Motion Picture Trilogy .